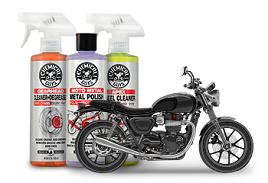 The Leather Cleaner and Conditioner Kit delivers the perfect one-two punch to restore, then preserve the natural look and feel of soft new leather. Proper cleaning and conditioning is crucial to keep leather looking its best: neglected leather dries out, cracks, and fades; dirty leather shines and shimmers from body oil grease contamination. When cleaned, conditioned, and cared for properly, leather feels smooth, looks silky, and smells fresh and luxurious. Regular use of the Leather Kit keeps leather looking clean, feeling silky smooth, and soft and supple to resist cracking and breaking prematurely. To properly nourish and protect leather, you must first clean away any oils and impurities with Leather Cleaner. Leather Cleaner lifts and emulsifies dirt, oils, and grease from deep within the pores of natural and synthetic leather upholstery and accessories. 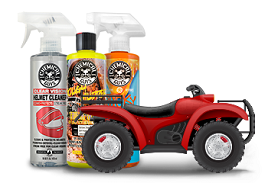 The pH-balanced formula won’t stain leather or change the texture, and is safe for natural leather, durable sealed leather, and synthetic leather materials. Leather Conditioner nourishes natural tanned leather hides and synthetic materials, preventing them from drying out, cracking, and fading from the wear and tear of regular use. Leather Conditioner replenishes essential nutrients like Vitamin E that are regularly depleted by harsh elements like the sun. 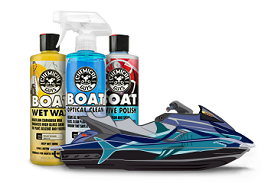 Regular use of the Chemical Guys Leather Cleaner & Conditioner Complete Kit keeps leather looking clean, feeling silky smooth, and soft and supple to resist cracking and breaking prematurely.